Standing at an impressive 85cm tall, Witley vases certainly make a statement. 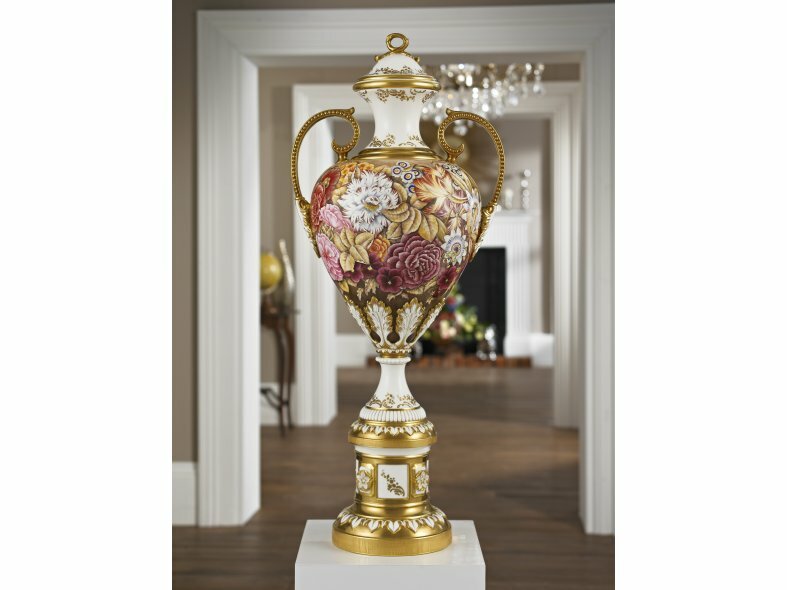 Part of the stunning new collection from ceramic specialists Chamberlain & Co, they are the largest ornate bone china vases made in the UK, with every part crafted by hand. 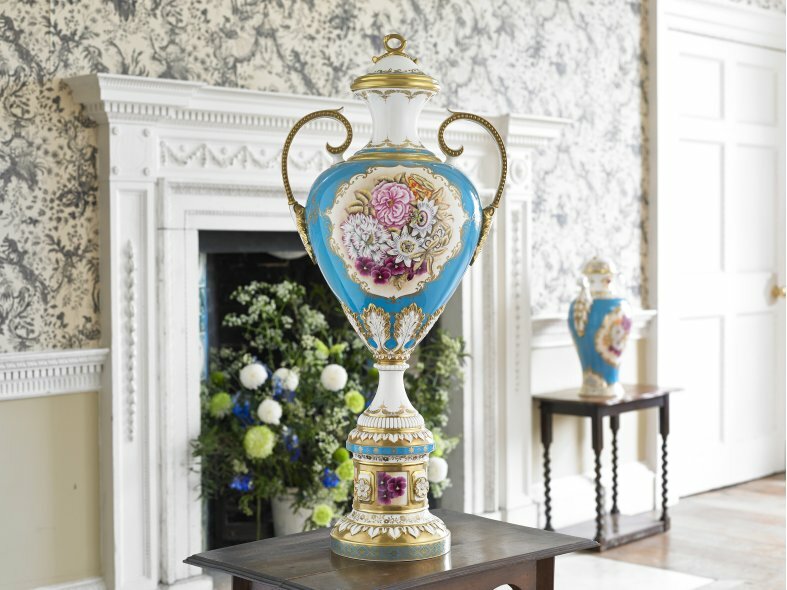 A quick glance is not enough to appreciate the beauty of each Witley vase. 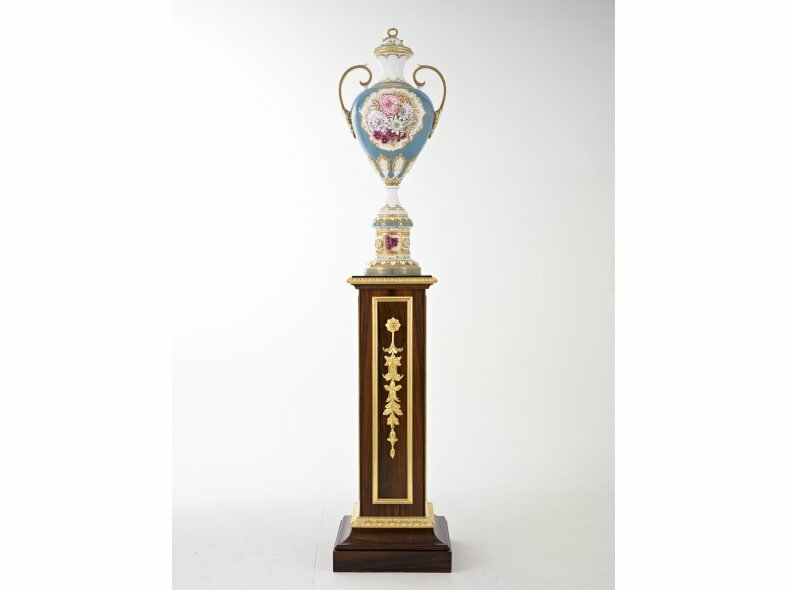 Take your time to let your eyes wander over the full piece; the golden finial, the ornate handle, the pedestal. The absolute elegance of every piece belies the degree of skill and deep understanding of the science of ceramic manufacture that has led to its creation. Each vase comprises 30 individual cast elements. 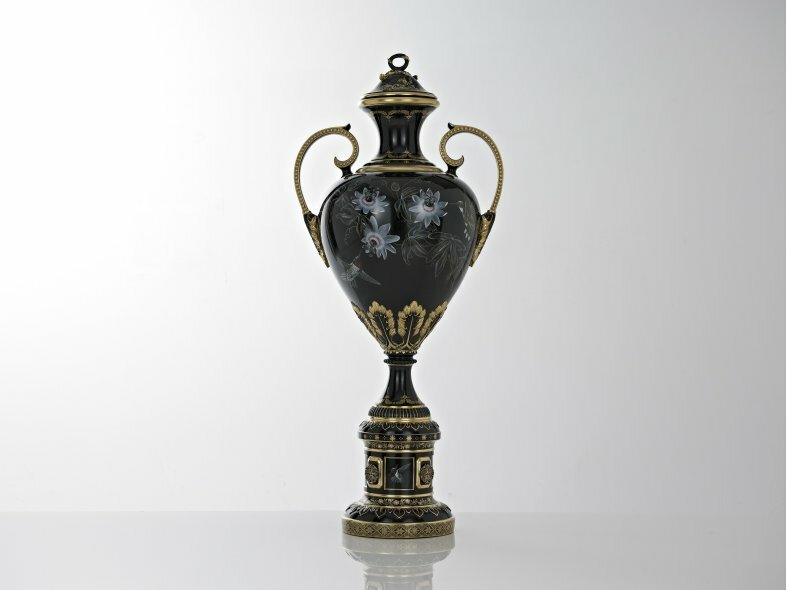 It takes the unique team of ceramic artists, only found at Chamberlain & Co, working in harmony to achieve this level of unsurpassed perfection. Employing techniques developed during the Georgian heyday of ceramics, today's Chamberlain & Co artisans will dedicate more than 200 hours to the formation of every individual Witley vase, following the many months of development for the shape and surface designs. It takes 11 hours alone to cast, assemble and finish the 30 components, a minimum of 8 visits to the kiln and at least 140 hours to hand paint the glazed vase. The final act is the gilding with 23 karat gold for a beautifully burnished finish. One look is enough to determine whether the Witley vase is worth the effort! But many hours can be spent admiring its artistry. Every Witley vase tells a story. Here we've focused on the technical creation but as it is handed down through a family's generations it will gather many more tales to tell. Deeply dramatic, the Chamberlain Black design in pure, luxurious jet black bone china is virtually unique in the world of prestige ceramics. This spectacular vase in ebony is decorated with a combination of traditional and innovative techniques that deliver unrivalled impact and contrast. The delicate, hand-painted hummingbird and passion flower design perfectly matched to the style of the pieces in the collection. 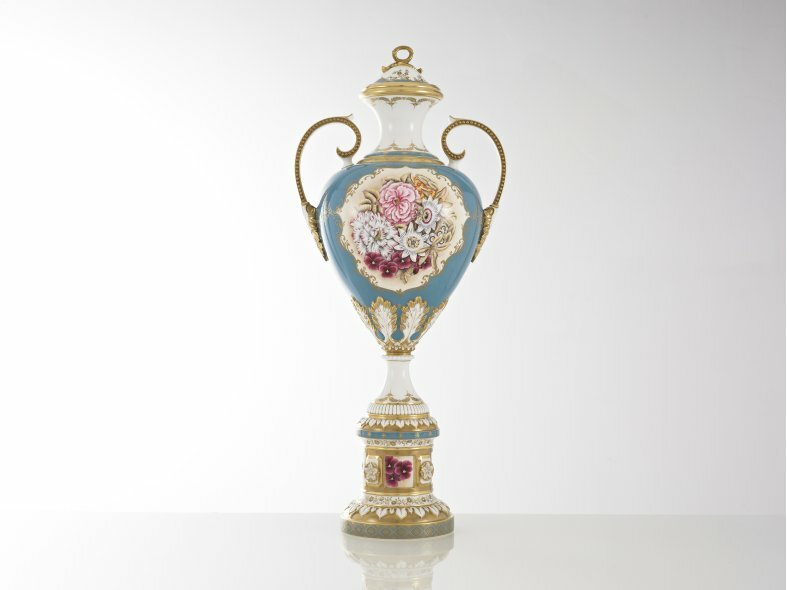 The vase is decorated with vignettes bordered by a turquoise colour ground reflecting the historic colours used in British ceramics in the late 18th and early 19th Centuries. The turquoise reminiscent of the era adds a complementary dynamic to the colours found in the hand painted flowers within each vignette. A handmade piece of Chamberlain fine bone china makes a wonderful and unique centrepiece for any room. There is though something that is even more personal and exclusive: a specially commissioned Chamberlain work of art, uniquely created for you, matching your taste and décor exactly. Here we have chosen an all over Floral Georgian Design - but we can create any design. 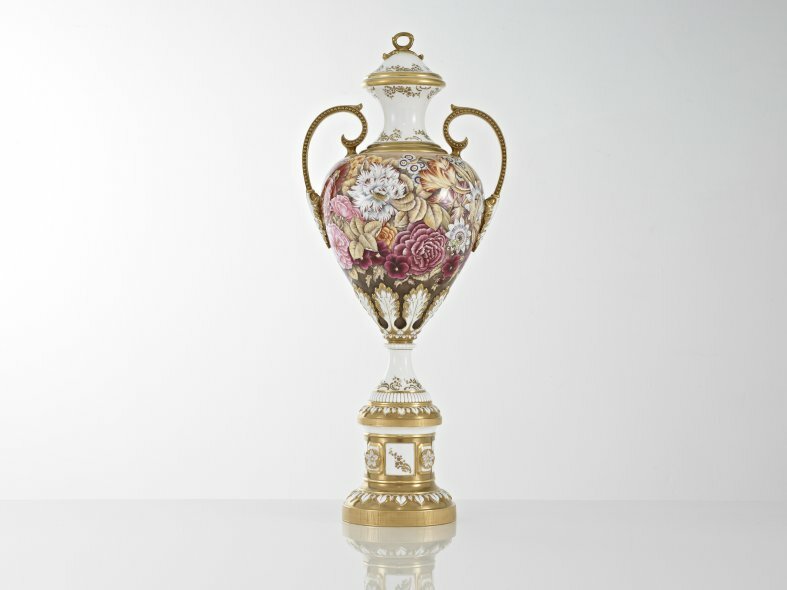 200 The number of hours it takes to create Chamberlain & Co's largest and most intricate pieces. 10 The number of times each piece may be fired during production in order to achieve the depth of ceramic colour and the rich gold effects.